Hi! 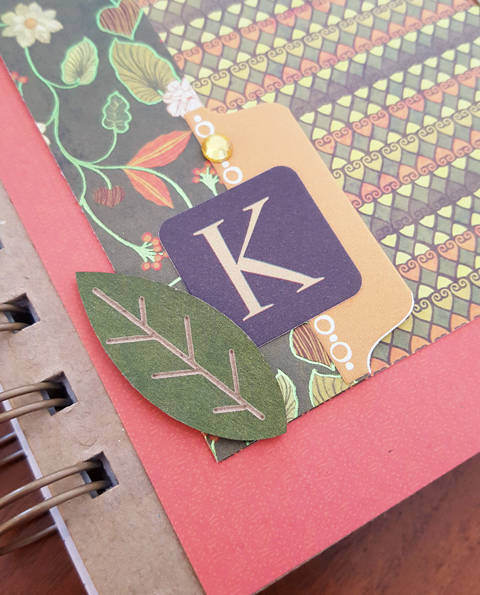 Today I'm sharing an SEI spiral-bound kraft journal that I decorated using mostly the Madera Island collection. 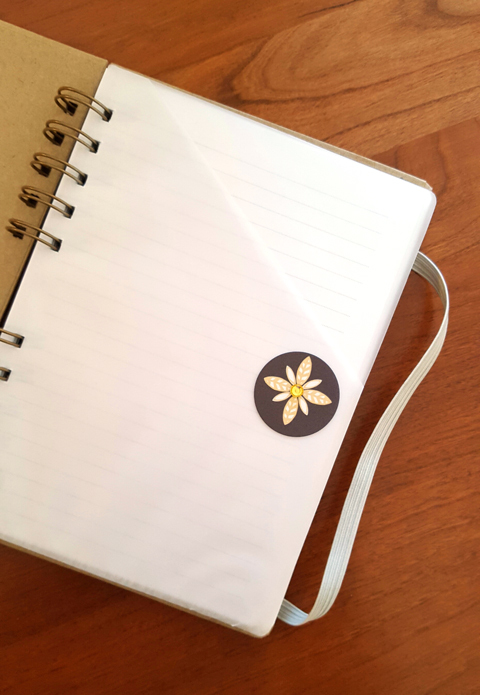 It makes a nice gratitude journal for Thanksgiving or a simple yet thoughtful gift for Christmas. 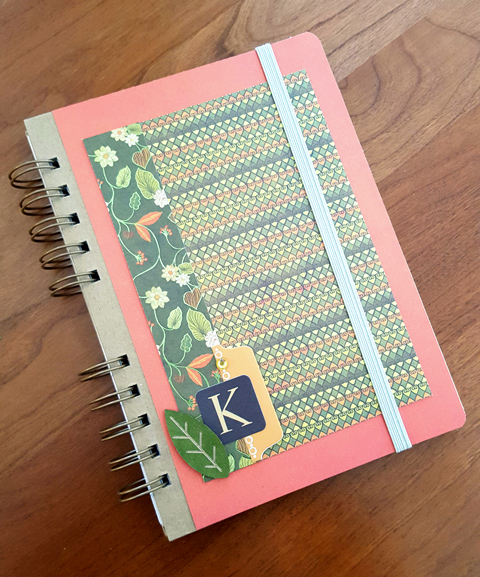 After covering with patterned paper, you can use an alphabet sticker to personalize the journal for the recipient. I also added a little rhinestone as well as a leaf from the Back to Fall collection as a finishing touch. Don't forget about the inside, either---I love that the journal comes with an interior pocket. I added a matching floral sticker with a rhinestone to give it some extra flair. Have you repurposed an SEI kraft journal, photo album or frame? We'd love to see what you've designed! Be sure to share your projects in the comments.